On Sunday, April 21 we will be celebrating the resurrection of our Lord and Savior Jesus Christ . Jesus stated before his death that he would rise again on the third day (Matthew 28:6). Furthermore, Paul states that the resurrection is vital to the Christian faith (1 Cor. 15:14). With such an important time of the year approaching, I wanted to provide you with some suggested reading to prepare your hearts for this great day. Below you will find a list of reading related to our Lord’s resurrection. Also, I included a few links of some videos that you might like. Bible Reading – Although the other resources are helpful, nothing takes the place of God’s Word. May the Lord bless you and encourage your hearts because our Savior lives today. Currently, our Sunday night sermon series is on the book of Daniel. Below are some extra items that will help you understand this great book better. These extras are related to Daniel chapters 3 and 4. What Scriptures were used as cross-references in the Daniel 3 and 4 sermons? What was the hymn mentioned in the Daniel 3:19-30 sermon that referenced fiery trials? 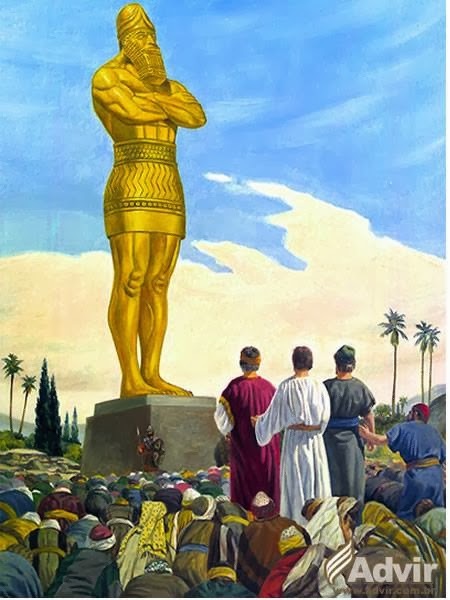 Daniel 3, The Great Golden Image = Here are a few links that provide images of the great golden image of Daniel 3. William Blake’s Nebuchadnezzar Painting = Painting of the king under the judgement of God. Currently, our Sunday night sermon series is on the book of Daniel. As we go through Daniel, I will periodically provide extra items that will help you better understand this great book. Below is a list of extras related to Daniel chapter 2. What Scriptures were used as cross references in the two Daniel 2 sermons? 4. Videos = Two brief videos done to show a 3D view of the great statute. https://www.youtube.com/watch?v=3aK7zpVU7bE and https://www.youtube.com/watch?v=bFtoX_rz3tg. The book of Psalms is made up of five books (or collections) of 150 psalms. Last night we began our new Sunday night sermon series in the book of Daniel. As we go through Daniel, I will periodically be providing extra items that will provide more details. Below is a list of extras as we begin. 4. Name Changes = we were introduced to Daniel and his three Hebrew friends. This is the name change chart that I referred to. No matter what you use, I pray that you will seek to read your Bible every day in 2019.